Our Business and Report writing course enables business professionals to enhance their corporate document writing skills across a range of business functions. The course employs practical business writing techniques to enable you to create compelling and well-structured business documents, memos, emails and reports. You need no previous business writing experience to attend this course. Also, this course includes how to write marketing texts, mission statements, press releases, and corporate documents for external, in- house, web and blog use, how to conduct interviews, how to edit documents, how to write speeches, and how to write for the digital market. Also, this Business and Report Writing course covers the theory and practice of writing in the modern business environment. Also, you will be introduced to the principles of written communication so that you will be able to express your thoughts and ideas through writing in a clear, concise, and efficient manner. You will see how preparation is key for successful writing and learn how to use a planning checklist when writing any type of business message. You will also learn about writing styles and which writing style is most appropriate for business communication. In the modern business world having the skill to write a professional business letter is of great importance. Having completed this course, you will have the confidence and skills needed to express yourself in writing in any business environment, and the skills needed to write a business letter that will look distinctive, professional and high quality. This course will be of great interest to all learners who want to improve their business communication skills, in particular business writing. 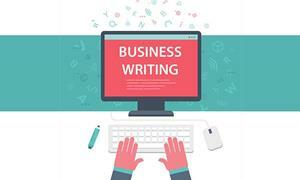 This online course is for anyone who want to improve their writing for business skills. This is a highly practical course suitable for anyone whose job involves writing corporate documents, or who wants their business writing to stand out in a crowd. 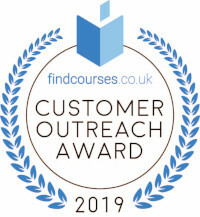 The course contains information on all styles of writing – including e-mails, letters, minutes, reports and social media – and is well suited for workers who are required to write on both a regular and less-often basis. Successful candidates will be awarded Diploma for “Business and Report Writing”. This online training course is comprehensive and is designed to cover the following key topics are listed under the curriculum. This course has been designed for 35 guided learning hours. Fill out your details to find out more about Business Writing Diploma - Online.